DAY 01st: Kathmandu – Gangkor (3650M) Fly on china southwest airlines. Visit Samye monastery and overnight at hotel. Day 02: Free day at Lhasa. Overnight at hotel. Day 03: Rest or free day at Lhasa. Visit Barkhor Bazaar and visit Gyanden monastery. Overnight at hotel. Day 06: Transfer from Lhasa to Gyantse (3950m) - 259km. This drive takes 8 hrs to Gyantse. Crossing two passes. The korala (5010m) and kambala (4794m) and lake yamdrok tso. You will cross Yarlung tsangpo (Brahmaputra) river. Overnight in Gyantse. Day 07: Gyantse- Xigatse (3900m) 90km. After breakfast visit Khumbum stupa, Phalkar monastery in Gyantse. After lunch embark on a pleasant 2 hrs drive to Xigatse. 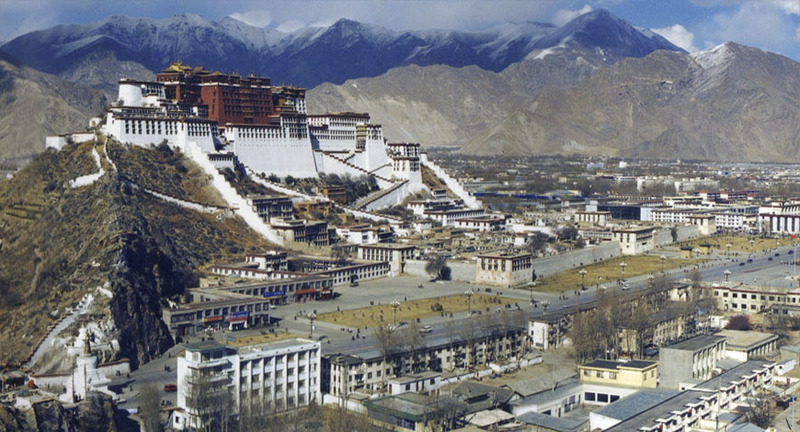 Second biggest city of Tibet. Evening explore xigatse free market. Overnight in Xigatse. Morning visit the place of famous Tasilumpo monastery and seat of Panchan Lama until his death in 1989 with its huge thanka wall, which is clearly visible from north side of road. Enroute visit Sakya monastery. If road condition is good. The monastery is 26 km off from main road. It is one of the oldest and most important Bonpo Monasteries of Tibet. Over night in Lhatse. Drive (approx 8 hrs) to reach Nyalam crossing two spectaculars passes Nyalm pass (3800m) and Lalung-la pass (5082m). This drive offers fantastic view of high mountain including Mount Everest (8848m). Overnight in Nyalam. Early morning drive from Nyalam to Kodari (approx-2 hrs). After completing immigration and custom formalities drive down hill to kodari. After Kodari drive to Kathmandu.